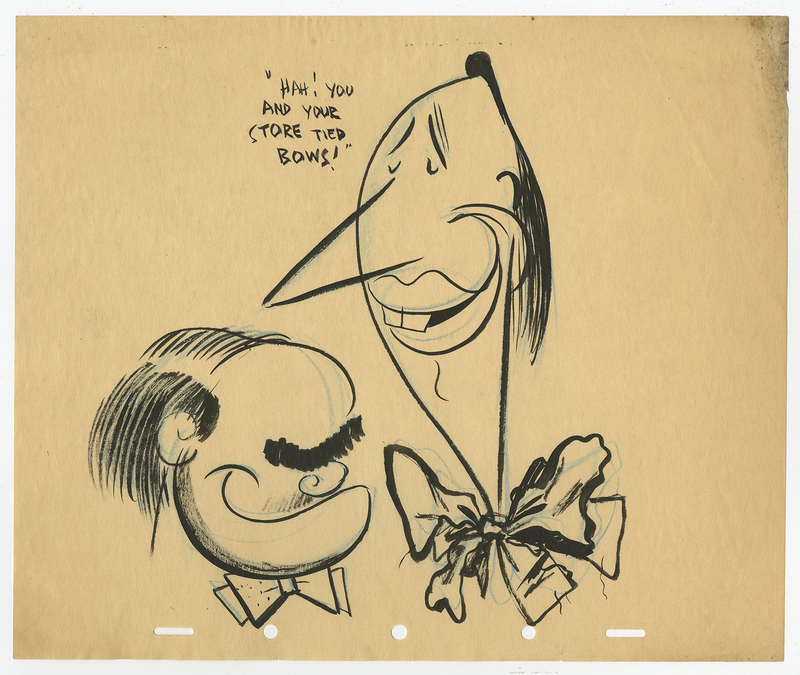 This is an original Ward Kimball Animator's Gag Drawing created at the Walt Disney Studios. 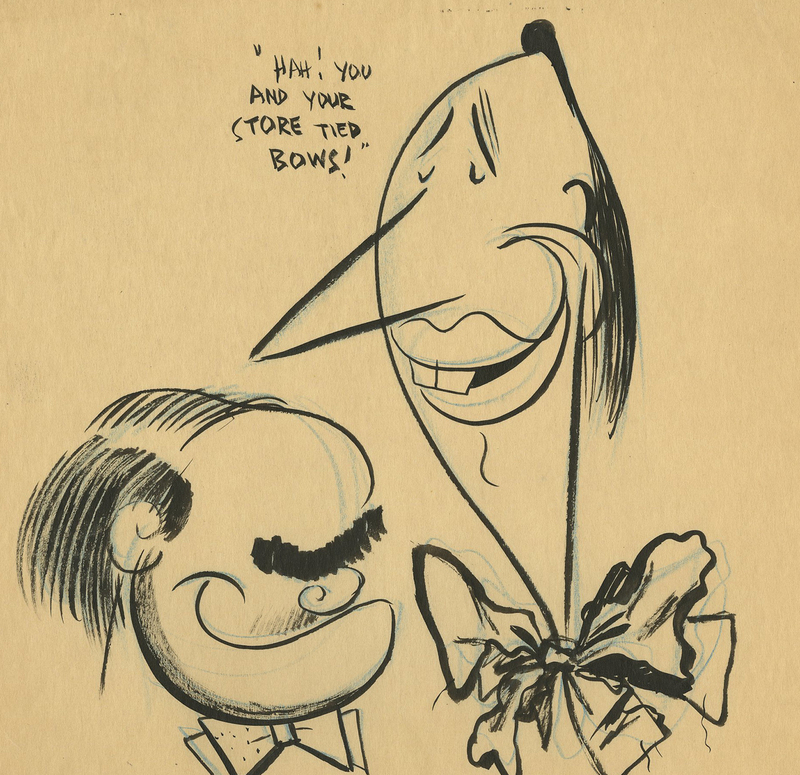 This Animator's Gag Drawing features Ward Kimball and Clark Mallery discussing their choices in bow ties, and was created at the studio, likely in the 1950s. It is common for animators to create gag drawings to break the monotony of everyday animation. The overall measurements of the piece are 10" x 12" and the image itself measures 9" x 8.5".